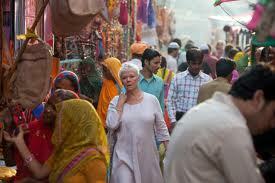 Judy Dench in India | Where Is Annie? Hindu gods. Even Shiva's skin is colorful.